I think that’s worth saying again. Shadowrun: Crossfire is officially at the printers!!! My head does it feel so good to say that. Why all the delays? 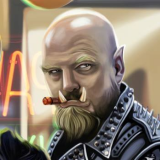 Well, as I mentioned in a previous blog, we got a little carried away in our excitement and enthusiasm for all of the awesome-sauce games we want to publish for Shadowrun. While the roleplaying game will always remain near and dear to our hearts, the universe is what makes it sing. And it’s high time that universe was experienced through a variety of ways, from card games to board games and more. Additionally, we tried hard—so very hard, across many months—to see if we couldn’t print this game domestically. But ultimately we finally had to admit defeat and print it overseas. We’ve used those delays to good effect, though. Going to print simultaneously with the core box is a Demo Kit (we used this last year at Gen Con and Origins, and we’ll be using it for various conventions in the future). Every retailer that orders a set number of boxes (the exact details are still being worked on) will receive a free Demo Kit to help push play in their stores. On top of that, Character Expansion Pack 1 is also heading to print. It includes 20 Character Cards (with new art), 1 each of the Basic Cards with new art, and a full pack of character upgrade stickers found in the core box. It’s a quick $14.99 purchase that instantly expands your play and campaign options. 2. Then they’ll print out physical proofs of everything (including huge card sheets for all the cards) and ship them to us. It’ll take several hours to carefully go over absolutely everything to ensure the colors are correct, card backs are with correct card fronts, all pieces are there, and so on. Those should be in hand within the next two weeks; obviously we’ll share photos when they’re here. 3. A complete white sample of everything will be built and shipped; generally simultaneously with the materials above. That allows us to see the quality of the paper being used, to make sure everything fits where it should and the box quality is solid, and so on. In both instances above, we usually ship everything back after the review, so there are some additional days in shipping of materials on both ends. 4. The printer says the manufacturing/printing will take 55 days. I’ve seen that swing by almost 14 days (almost always to the longer). 5. Then the entire print run will be boxed up, palleted and placed on a ship; couple of days of work there. It generally takes 30 days to transit to a US port. It’s another week (provided there are no customs hold ups, which happens about 1/10th of the time) to transit to the warehouse. Then another two to three weeks to be fully processed and shipped out to retail stores all over the world. Where does that leave us? Well, if you do the math, it means it could be anywhere from mid July all the way into September. That’s why we don’t provide release dates until it’s at least sitting in a US port, and usually not even then; it’s much better to provide that information once the game is in our warehouse. That way once we say “The Street Date is X”, we know it will hit that date. Will it be at the big conventions? Again, hard to say at this point. We’re hoping to have some limited advanced quantities available at Origins and then stacks-to-the-rafters at Gen Con. But we’ll need to get much closer to those two dates before we’ll know for certain. As we move toward launch day for the game, we’ve got a variety of digital initiatives planned. Obviously we’ll continue to showcase art and cards on our Tumblr. We’re looking at producing multiple promotional videos that players can view and share, as well as a “How To Play” animation video. 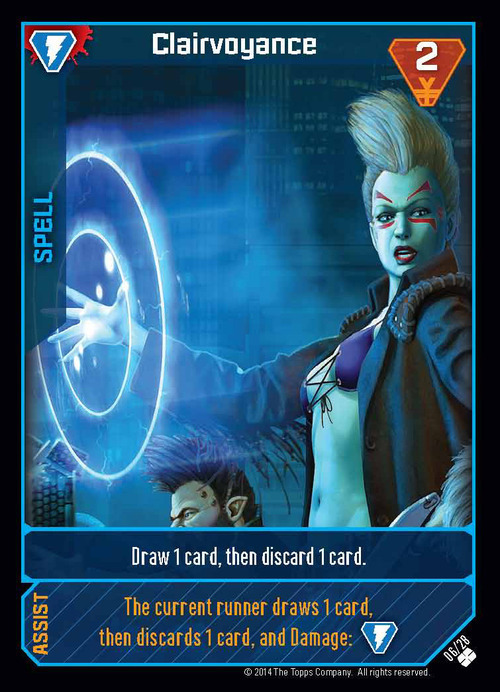 We’re also planning a “Digital Shadowrun” that’ll involved the community in digging out cards and rules, and perhaps getting people started in playing. A Strategy & Tactics Guide … the full demo kit … the full rules … lots of plans … but we’ll hold more specifics of the when and where until we start pushing things out. Thanks to everyone that have so patiently waited for this great game. It’ll be well worth the wait for the endless hours of Sixth World card-game goodness coming your way! ...so about over a year and a half since they first announced it...and that just like with the Beginner's Box Set, was because they bit off more they could chew? Well, better late then never I suppose. "I prefer the Turnabout discussions more then the Roundabout variety"
Re: Crossfire off to printers! Anyone else thing a Origins release? Or will there not be enough time it it will be gencon? Either way, I'm waiting! It's too close to say either way. Ooh exciting times. Has it already been stated if this oohs coming out as a set like a board game our in packs like a ccg? Core set with optional boosters to expand the game...much like the PFACG. 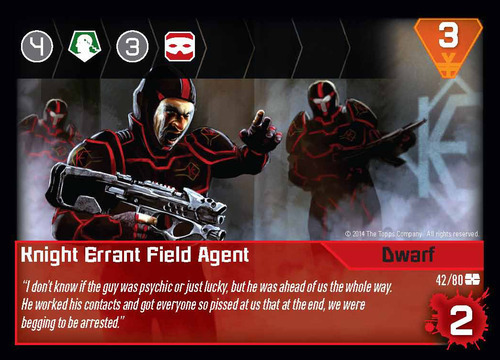 My sincere hope was that they'd have Crossfire out in time for International Tabletop Day (today). Sadly, that was not the case. So here's hoping for next week. Ummm...I know we hold release dates until we're absolutely sure of when the distributors can get them to stores, but one week's notice? We're not that bad. I'm just eager. The eagerness is starting to override my logic - I'm at the point where I don't necessarily care if anyone else in the world gets them.